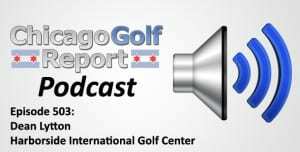 Our guest this episode is the General Manager of Harborside International Golf Center, Dean Lytton. Dean has been in charge of Harborside for KemperSports since February of 2013, helping to reinvigorate one of the top golf facilities within Chicago’s city limits. Before arriving in Chicago, Dean was the GM at the exclusive Falcon Ridge Golf Course near Kansas City. Located about 15 minutes south of downtown Chicago, Harborside International Golf Center features two golf courses, both if which were rated in Golfweek’s listing of “Best Courses You Can Play” in Illinois. Featuring a rugged, links-style layout, and one of the top practice facilities in Chicagoland, Harborside International is a top choice for locals and travelers to enjoy traditional links golf. WL:	Before we start talking about Harborside, I’d like to get maybe a little bit of a background about yourself. How did you get to this place where you’re General Manager of Harborside? What kind of led you to this path? DL:	Probably a little different than most paths. I came more from the sales and marketing side. I started, I’m from the Kansas City area, and started with Kemper Sports about 12 years ago as a Sales and Marketing Director at a high end daily fee there called Falcon Ridge, and was a Sales and Marketing Director for about three or four years before being promoted to General Manager. And stayed there at Falcon Ridge in Kansas City until March of this year, and took a promotion to manage Harborside for Kemper Sports when they took over, to manage the golf course for the port. So I’m not a good enough golfer to be a PGA guy, I made my way up through the ranks on the sales and marketing side. WL:	Okay, so I guess the basic question then. What attracted you to come to Chicago, and then specifically to Harborside? 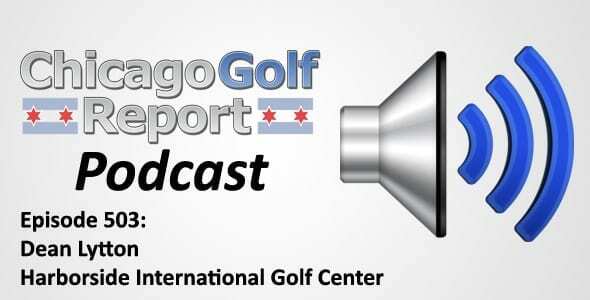 DL:	You know, this was an opportunity for me after being at one place for 10-12 years to start to expand, you know, what I wanted to do with my career, and, you know, with the home office for Kemper Sports here in Chicago, and this being what I thought was just an outstanding opportunity with two great golf courses, an opportunity that, you know, I thought we could really tap into the Chicago market and this place the home for, you know, Chicago’s golf course. And that’s what we did. That’s kind of what attracted me to it was just such a substantial property, a great history, and an opportunity for some really nice growth here. WL:	Talk a little bit more about Harborside. I think it’s such a unique facility. As you said, it’s probably the leading candidate for Chicago’s golf course, most specifically Chicago’s public golf course. DL:	Well, and that’s what we tried to do is market this place as Chicago’s home for golf, certainly on the public side for the golfer that lives downtown, or the traveler that does business downtown, and that’s been the majority of our business, both in daily fee play and for outings throughout this first season here for us. And, you know, again, you’re right, it’s completely unique. It’s, you know, the first time I drove here, number one it’s very accessible right off the highway, but I couldn’t believe it was here. It’s just this beautiful oasis on the South side of Chicago that houses two unbelievable golf courses. You know, the Starboard course is ranked nationally 25th as the best municipal golf course in the country, and Port’s not far behind it, just outside the top 50. They both get local and national recognition. Very unique link style courses with 27 holes where you pretty much a view of the skyline the entire time you’re there, and then 9 holes on Starboard where you’re surrounded by Lake Calumet, and it’s just, it’s so unique. A huge driving range, 57 acre driving range and practice facility, so plenty of opportunity for people to get, you know, it’s just a few minutes outside of the city and work on their game. So, you know, again just a lot of uniqueness to it, and I think that’s what draws people to the facility and has made it so successful. WL:	Now I think some Chicago golfers would remember the fact that the Champions Tour visited Harborside, and you hosted an event there. And I know that one of the challenges with Harborside is that, at least when it was first open, it was a difficult course, with a lot of fescue, and a lot of different looks at holes that were boarding the water. What do you tell to the average golfer why should they play Harborside instead of choosing something that might be a little, you know, “manageable”. DL:	Sure. Yeah, well I mean it can be challenging. Certainly we’ve tried to do some things since we’ve arrived to make it a little more playable. I mean, we’ve created some drier conditions that allow the ball to roll a little bit more, so people are getting a little bit more out of their drives. You know, we’ve kind of tried to cut down some of the mounds and the fescue around throughout the year, so that, you know, so that you’re not really having to search for those balls or just losing those balls if they go into those mounds. But, you know, for the most part this is a pretty playable golf course. I mean, it’s, the fairways are very forgiving. Certainly there’s a lot of sand and bunkers on this golf course, because it is a link style, you know, track, and there’s, you know, just two or three waters, two or three holes on the Starboard side that do border Lake Calumet. But, yeah, it can certainly be challenging with the amount of sand that’s out here, and the one thing that we can’t overcome or fix is that there is a lot of wind out here. This is the Windy City, and we are not far off of the lake, so that’s the only thing we can’t control is the wind, and that certainly does create some difficult conditions. But we try to do some things to make the golf course a little more playable from a difficulty standpoint, and we’ve been so busy we’ve had to do that so that the pace of play is where it needs to be on the busy weekend days and during our outings. And I think for the most part we’ve been successful at that.